This guide is intended to provide a comprehensive description of the encounter with Iron Qon in Throne of Thunder. It is targeted at anyone who desires to understand the fight mechanics. Iron Qon is the tenth boss of the Throne of Thunder instance. This is a very engaging encounter with many phases, but with a clear and easy to follow structure. Defeating the encounter requires your raid members to have excellent communication and situational awareness. A solid amount of healing is also needed. The fight has a 12-minute hard enrage timer, which causes the boss to deal greatly increased damage, and quickly wipe your raid. During the final phase of the fight, Iron Qon has a soft enrage timer in the form of a stacking self-buff that increases his damage done. In addition to the items listed below, Iron Qon drops the tokens that you will need for buying your Tier 15 Shoulders parts. 25-man with 18 DPS: 94k DPS. The encounter against Iron Qon is a four-phase fight. During Phase One you will fight Iron Qon while he is mounted on Ro'shak, one of his three Quilen champions. During Phase Two you will fight Iron Qon while he is mounted on Quet'zal, another one of his three Quilen champions. During Phase Three you will fight Iron Qon while he is mounted on Dam'ren, the last of this three Quilen champions. During Phase Four you will fight Iron Qon alone. Phases One, Two, and Three each last until the respective Quilen champion has been killed (Iron Qon himself does not take any damage during that time). Phase Four lasts until Iron Qon is killed. Each phase contains a set of unique abilities, specific to that phase. In addition to this, there is one ability that Iron Qon uses throughout the entire fight, regardless of what phase he is in. We have prepared the following video preview of the fight against Iron Qon, based on the testing from the Public Test Realms. Once we can do the fight on live realms, we will also publish an up-to-date video guide. We strongly recommend watching the video in order to get a better visual idea of the fight. Throughout the entire duration of the fight, Iron Qon will stack a debuff called Impale on his main target. This causes the player to bleed for a rather large amount of Physical damage every 2 seconds, requiring a tank switch. At the start of the fight, Iron Qon will be fighting the raid while on top of Ro'shak, the first of his three Quilen champions. Ro'shak has a Molten Energy bar, which increases slowly over time, independently of the raid's behaviour. During this phase, Ro'shak uses serveral abilities. Ignite Spear: Burning Cinders causes Iron Qon to throw his spear at the location of a random raid member, and then ignite the spear. Lines of magma move out from the spear in several directions, and persist on the ground for a long time. Standing on one of these lines applies a stacking DoT effect that deals Fire damage every second. Molten Overload happens when Ro'shak reaches maximum Molten Energy. The boss gains a 50% increase in damage done, and he begins spamming Molten Inferno at the raid until his energy is depleted. Molten Inferno is a raid-wide damaging attack that deals a moderate amount of Fire damage to all players. Using this ability costs Ro'shak 10 Molten Energy. Unleashed Flame is an ability that Ro'shak casts on the largest group of raid members stacked within 10 yards, provided that the group is comprised of a minimum number of players: 3 in 10-man and 5 in 25-man and LFR. It deals a large amount of Fire damage, split between all players in 10-yard radius. Using this ability costs Ro'shak 30 Molten Energy. Players who are hit by this ability receive a stack of a debuff called Scorched. Scorched increases Fire damage taken by the target by 20% for 30 seconds. In other words, as long as at least 3 players in 10-man, or 5 in 25-man and LFR are stacked within 10 yards, Ro'shak will keep casting Unleashed Flame on them. This prevent effectively prevent him from capping his Molten Energy, meaning that he will not cast Molten Overload. In case multiple such groups exist, Ro'shak will target the one that has most players present. If no such groups exist, Ro'shak will not cast Unleashed Flame at all, and will instead go on to cap his energy and use Molten Overload, something that you must avoid. The strategy for this phase is straightforward, but it requires good coordination from your raid. Your goal is to avoid having Ro'shak reach maximum Molten Energy, because the damage caused by Molten Overload is extremely high and it is not really healable for more than a few seconds. As such, you must constantly make sure that Ro'shak's Molten Energy is used up on casts of Unleashed Flame. Because of the fact that players affected by Unleashed Flame receive stacks of Scorched, you cannot have your whole raid stacked up. Instead, you will have to split your raid up into several groups of players (3 groups in 10-man and 5 groups in 25-man seems appropriate). Then, you will need to use a rotation, such as the one we describe below. Group 1 stacks together in one location, while players in the other groups remain spread out. This will cause Ro'shak to cast Unleashed Flame on Group 1. After a few casts (3 at most), have players in Group 1 spread out, and players in Group 2 stack up. This will cause Ro'shak to target Group 2 with Unleashed Flame. Proceed like this, and by the time the final group has taken a few casts of Unleashed Flame, the first group's stacks of Scorched should be gone, and they can stack up once again. Given the limited number of players in the raid, the tanks will have to be included in one of the stacking groups. Whoever is meant to stack with the tanks can safely stand in front of Ro'shak, since he does not have any kind of cleave or breath attacks. Naturally, everyone must be mindful of the lines of magma created by Ignite Spear: Burning Cinders, and avoid them. After Ro'shak is killed, Iron Qon will mount Quet'zal, his second Quilen champion, and engage your raid again. Strike Spear: Storm Cloud causes Iron Qon to throw his spear at the location of a random raid member, and then strike the spear. Lines of lightning move out from the spear in several directions, and persist on the ground for a long time. Standing on one of these lines deals a massive amount of Nature damage, and applies a stack of a debuff. The debuff is harmless, but when reaching 3 stacks, the player becomes stunned for 20 seconds. Arcing Lightning is a debuff that Quet'zal casts on a random raid member. A cloud appears over the player, causing them to be stunned for 30 seconds, and absorbing healing done to the target during this time. While stunned, the player deals damage to other nearby allies. The stun cannot be dispelled, but players can be freed from this effect if another raid member moves close to them and clicks the cloud. This effectively "pulls them out of the storm", and all of the effects of the spell are removed. Windstorm is a spell that Quet'zel casts relatively rarely (at most 2-3 times throughout the entire phase). He flies up into the air, and pulls all raid members to the center of the room. He then summons a large number of tornadoes (called Rushing Winds), which move around a large circle in the center of the room. Each Rushing Wind moves in its own small circular pattern. Anyone who comes in contact with a tornado is picked up for a few seconds, during which time they take some damage and cannot act. Players who are within the large circle containing the tornadoes have their damage, healing, and absorption effects reduced by 80%. The Windstorm lasts for 20 seconds, after which time Quet'zel lands back down, and most of the Rushing Winds tornadoes disappear. Some of the tornadoes will, however, persist until the end of the fight. The strategy for this phase is much simpler than that of the previous phase. Raid members must make sure to avoid standing in the lightning lines created by Strike Spear: Storm Cloud. Whenever a raid member is affected by Arcing Lightning, another raid member must quickly run to them and free them. When Quet'zal casts Windstorm, raid members must get out of the large circle where the tornadoes are present, all while making sure not to get caught up in any of the Rushing Winds on their way out. After Windstorm is over, players must still be mindful of lingering tornadoes, and avoid them. The only issue that requires additional mentions is the movement during Windstorm. Even though it is possible to constantly avoid the tornadoes, and essentially wait out the end of the Windstorm, this is inefficient, because all damage, healing, and absorption while inside the Windstorm is reduced by 80%. Instead, players should make their way out of the Windstorm, all while avoiding the tornadoes. We recommend going to the "back" of the room (that is to say, in the opposite location to where Iron Qon is before you pull him), which is an area unaffected by Windstorm. Even though the movement of the tornadoes appears random at first, you will notice that in fact, each tornado spins around in a small circle. Therefore, by keeping this in mind, it is easy to predict where the tornadoes around you will be going, and this should allow you to avoid getting caught in any of them. After Quet'zal is killed, Iron Qon will mount Dam'ren, his final Quilen champion. Freeze Spear: Frozen Blood causes Iron Qon to throw his spear at the location of a random raid member, and then freeze the spear. Lines of ice move out from the spear in several directions, and persist on the ground for a long time. Standing on one of these lines deals a high amount of Frost damage, and applies a stack of a debuff that slows movement, melee, ranged, and casting speeds by 25%. Dead Zone is a spell that Dam'ren sometimes channels for 10 seconds. While the spell is active, two shields appear on two sides of Dam'ren, and any players who attack the boss from those sides will deal no damage to him. Frozen Resilience is a passive buff that Dam'ren has for the entire phase. It causes 10% of all damage done to him to be reflected back to the attackers. Freeze is a debuff that Dam'ren places on a random raid member. The debuff does not do anything, and it expires between 1 and 5 seconds after being applied (it is chosen randomly). When it expires, the entire raid takes a moderate amount of Frost damage. This is one of the more intense phases as far as raid damage goes, but in terms of strategy, it is not complicated. Your raid will simply DPS Dam'ren while making sure to stand out of the frost lines on the ground (as well as out of any remaining lightning lines). There will still be some tornadoes from the previous phase moving around, which you will need to avoid as well. When Dam'ren is casting Dead Zone, players will have to positions themselves in such a way as to attack him from a side on which he is not shielded. Freeze is a concern for the healers, but it does not really necessitate the use of defensive cooldowns. The raid will also passively take damage from Frozen Resilience. After Dam'ren is killed, Iron Qon will finally face the raid on his own. 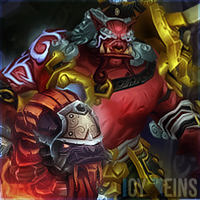 Rising Anger is a stacking self-buff that increases Iron Qon's damage by 10% per stack. A new stack is applied every 10 seconds. Fist Smash is an ability that Iron Qon casts at regular intervals during this phase. It deals a large amount of raid-wide Physical damage over 7.5 seconds. Ignite Cyclone is an ability that causes a random tornado from Phase Two that is still around to become ignited, dealing raid-wide Fire damage every 2 seconds until the end of the fight. Freeze Cyclone is an ability that causes a random tornado from Phase Two that is still around to become frozen. Players who come in contact with this tornado become stunned and lose 5% of their maximum health every 2 seconds. We did not get a chance to see anyone getting affected by this ability, so we are not sure how long the stun lasts or how it can be removed. This is a typical burn phase. Your raid must kill Iron Qon as quickly as possible, for two reasons. Firstly, unless you were very fast in previous phases, you are probably nearing the 12-minute enrage timer. Secondly, the more stacks of Rising Anger that Iron Qon gets during this phase, the more likely it is that your healers will not be able to keep up (there is plenty of raid damage from Fist Smash and the fiery tornadoes. Your raid should stack up in a location where there are no tornadoes, and simply burn the boss with all cooldowns. Healing and defensive cooldowns should be used during this phase. We recommend using Heroism/ Bloodlust/ Time Warp during Phase Four, since this is the phase that your raid needs to get through fastest. Also, this phase allows your raid members to remain relatively still, thus allowing them to benefit more from Heroism/Bloodlust/Time Warp. Despite its many phases, the encounter should not be too difficult to learn. Firstly, we recommend that you explain to your raid that the first 3 phases all follow a similar format of the boss having one "lines" ability and one or two actual abilities. The lines are the same in every phase, and in each case they simply need to be avoided. Of the other phase-specific abilities, only Unleashed Flame and Windstorm are at all problematic. For Unleashed Flame, the raid leader must have an active role in assigning groups of players, and someone should always call out when it is time for a group to stack or spread. For Windstorm, we advise using the technique we mentioned in the respective strategy section (following one of the tornadoes around). The Heroic mode of the Iron Qon encounter is quite difficult, and the fight has several differences from Normal mode, resulting in a quite different experience. That said, the strategy, as we will see, does not change very much. There are two important differences from Normal mode. Firstly, during Phases One, Two, and Three, while fighting Iron Qon and the Quilen on which he is mounted during the respective phase, one of the other two Quilen will be flying above the raid, casting a specific spell each. During Phase One, Quet'zal will be flying above the raid, casting Whirling Winds at the raid. When he casts Whirling Winds, Quet'zal summons a tornado that crosses the room, dealing damage to any players that come in contact with it. Quet'zal casts this ability about every 25 seconds. In addition to this, Quet'zal will also cast Arcing Lightning on random raid members. During Phase Two, Dam'ren will be flying above the raid, casting Frost Spike at random raid members. Several raid members' locations are targeted by frost spikes, which, after an initial warning animation, deal damage to players in a 4-yard radius, knocking them up in the air. Dam'ren casts this ability about every 12 seconds. During Phase Three, Ro'shak will be flying above the raid, casting Unleashed Flame at the largest group of stacked players he can find, and if there are no groups of at least 3 players in 10-man, or 5 players in 25-man, then he will cast Unleashed Flame at random raid members. Ro'shak will cast this ability about every 15 seconds. The Quilen that is flying in the air above the raid cannot be targeted or attacked. Ro'shak will use Unleashed Flame. Quet'zal will use Arcing Lightning. Dam'ren will use Dead Zone. It is important to note that Iron Qon will not begin casting Fist Smash until 2 of the 3 Quilens are dead. Finally, Iron Qon and all the Quilen deal increased damage and have increased health. The strategy for the encounter remains similar to the Normal mode strategy, in the sense that the abilities of each phase are handled in the same way. However, in addition to those abilities, players will have to watch out for the abilities cast by the flying Quilen, and Phase Four becomes quite complex. During Phase One, there are two additional abilities (an exception, since both Phases Two and Three only present one additional ability). The first issue is avoiding the tornadoes caused by Quet'zal's Whirling Winds. While these do travel at a high speed, avoiding them should not be too difficult. The second issue is Arcing Lightning, something that players will simply have to be quick to remove from their team mates. During Phase Two, players who are targeted by Frost Spikes should simply move from the their location immediately, in order to avoid being damaged and knocked up. The damage of this ability is not too high, however, so even getting hit by it is acceptable. Spreading out ensures that more than one player will never be hit by a Frost Spike. During Phase Three, you will have to employ the same kind of stacking and spreading system as you do during Phase One, in order to deal with Unleashed Flame. Phase Four is when things get more complicated and difficult. To begin with, when Dam'ren reaches 25% health, you should use Heroism/ Bloodlust/ Time Warp and burn him down. He is the top priority during this phase, since his Dead Zone is extremely disruptive to DPS. Once Dam'ren is dead, Ro'shak should be killed, and then Quet'zal, before finally turning to Iron Qon and finishing him off. Note that all three Quilen will need to be tanked during this phase. Ranged raid members should stay spread out until all three Quilen are dead, after which time stacking up is recommended (since the raid damage caused by Iron Qon will reach extreme levels). This concludes our raid guide for Iron Qon. We hope you have found it helpful. Please do not hesitate to post any feedback you may have on our forums. 15 May 2013: Added Heroic mode. 24 Mar. 2013: Re-added mention of hard enrage timer, at 12 minutes, following forum comments in this regard. Also updated the DPS requirements section to account for it. 17 Mar. 2013: Added 25-man health values; removed mention of hard explanation.